Note: This is for serious crafters only, this project is both tedious and time-consuming. Here’s how things looked before all the magic happened. 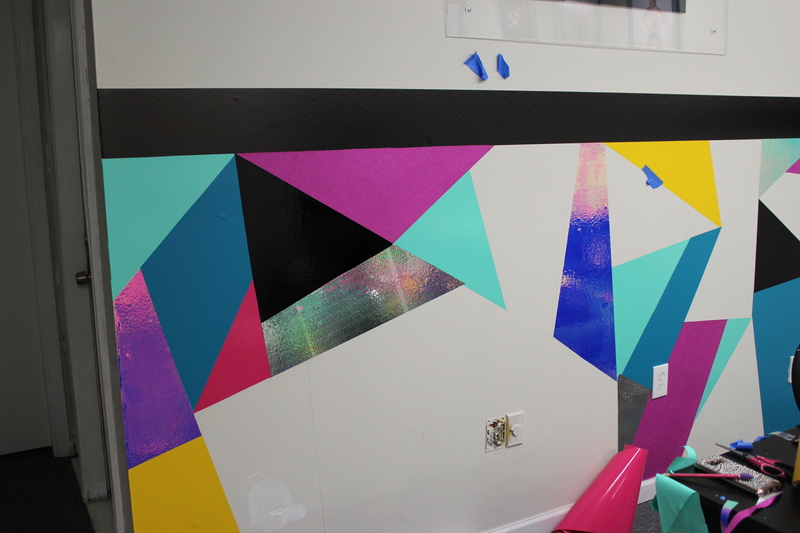 I decided that crafting an abstract wall mural would be the most impactful within the timeframe I was given. 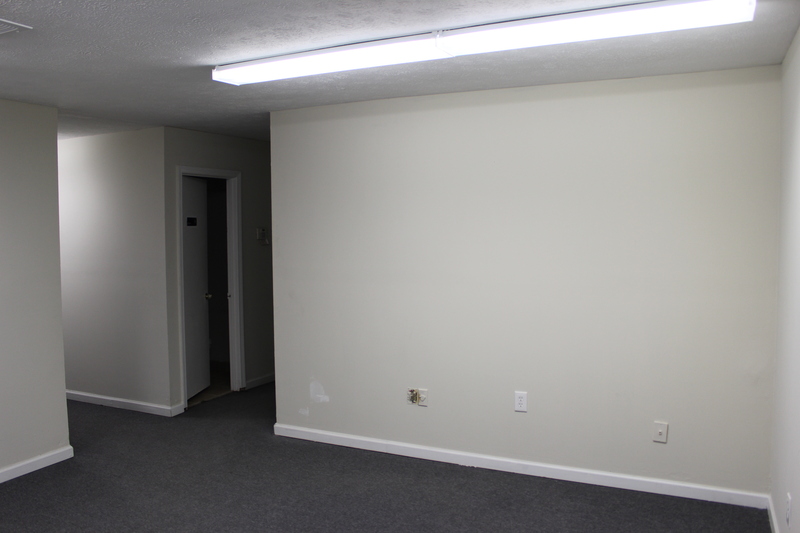 To start, I roughly outlined the design on my wall. This is not something you should become married to, it will change and take on different forms as the project evolves. 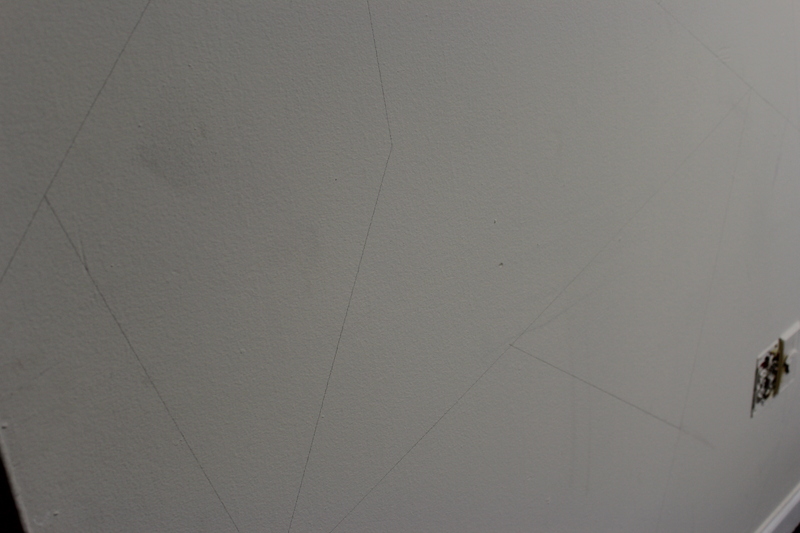 I then mapped out my shapes from the vinyl before applying it to the wall. 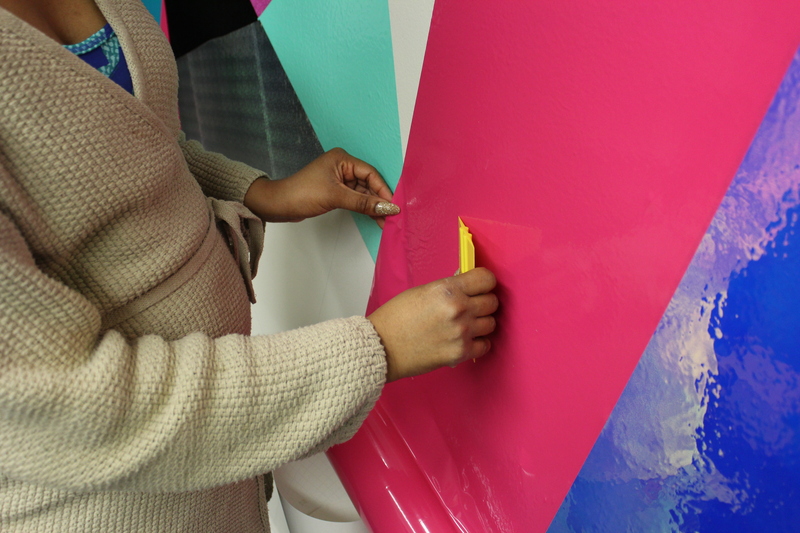 Next, I peeled back the protective layer and adhered the vinyl to the wall. I used a window squeegee during this process to remove and rub out any air bubbles and removed any extra material using a razor. Slowly but surely, the wall began to come together. 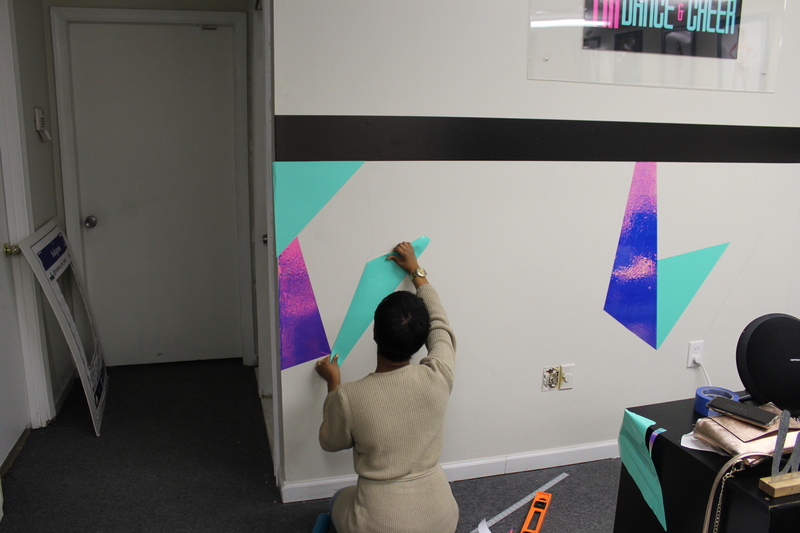 The entire process took somewhere between 10-12 hours from start to finish. 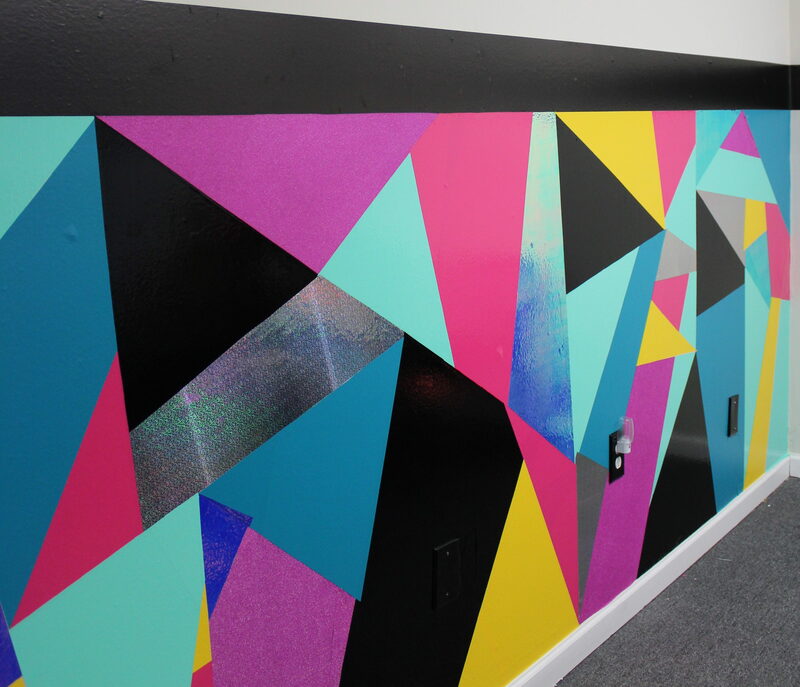 Here’s a picture of the finished wall! But wait, there’s more! 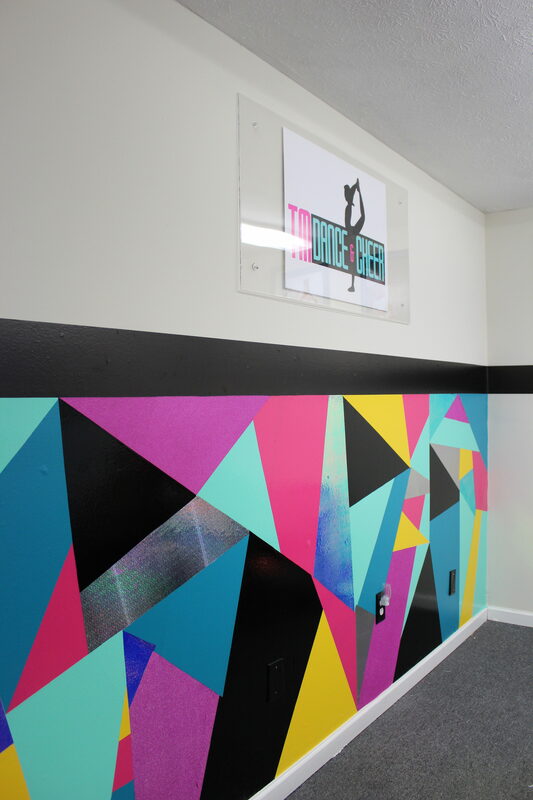 Click below to see a few more paintless wall ideas from the cheer and dance studio! 5 Ways To Have A Happy GALentine's Day!!!!! Next PostNext 5 Ways To Have A Happy GALentine’s Day!!!! !